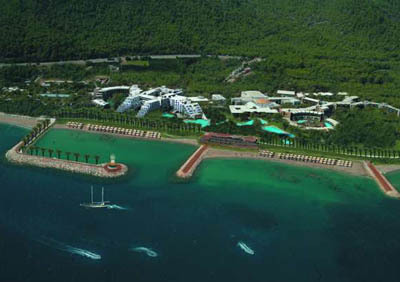 Ultra luxury beach resort with own yacht port and 2 aquaparks and fabulous spa center! Situtated directly on the beach in Beldibi. 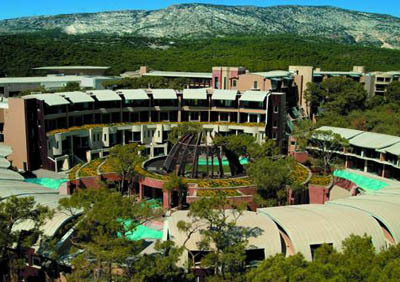 The resort centre Kemer is just 14 km, Antalya airport 29 km away. Reception * lobby * 3 main restaurants with non-smoking part and terrace * 8 a la carte restaurants * 18 bars * 18 outdoor swimming pools * 2 aquaparks with 17 water slides * kids pool * 3 indoor pools * business centre * open-air disco. Turkish bath * sauna * fitness * internet café * playstation * 5 tennis courts, floodlight and equipment * tennis courses * mini-football * darts * table tennis * beach volleyball * aerobic * gymnastics * tai-chi * yoga * boccia * mini-golf * catamaran * canoe * surf * sailing. Solarium , more than 40 kind of massage, beauty center, lymphoodrainage, pressotherapy, Jet-shower, balneotherapy, hot stone, oiltherapy etc. Kids burger * kids buffet (in the afternoon) *children paradise with cinema, labyrinth * 7 water slides (one of them to the sea) * animations * kids club (4-12 age) * playground * mini-disco. 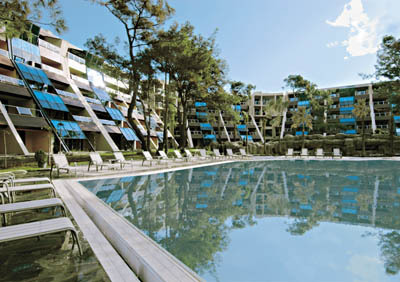 Billiards, motorized water sports, diving, horse riding (in Goynuk, Kemer), bottled wine, ice cream, bowling, room service. Air-conditioning (central) * balcony * minibar (filled at the arrival) * satellite TV * bathroom with hairdryer (bathtube and separate shower cabin) * telephone * carpet * safety box. 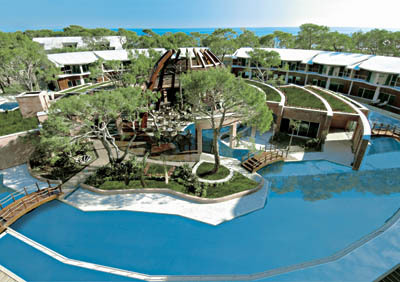 Situated directly on the 1 km long sandy/pebbly private beach (entrance to the sea stony). Pier, 2 beach bar. Sunbeds, umbrellas, mattresses and beach towels available free of charge. Private yacht port. Open buffet breakfast, lunch & dinner, late breakfast, during a day variety of a snack served, coffee/cake, night snack.